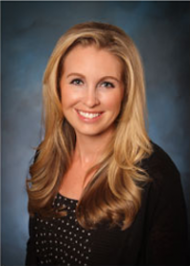 Kate Holder, PA-C, MPAS joined Idaho Urologic Institute in 2008. Kate graduated from Idaho State University’s PA program in 2006. After graduating, Kate worked in plastic surgery for 2 years. Kate treats men, women, and children and has a special interest in women’s and children’s urology. Conditions she treats include UTI’s, kidney stones, incontinence, pelvic pain, and pediatric voiding dysfunction. Kate was raised in Pocatello, ID, and moved to Boise in 2006. She enjoys spending time with her husband and 2 young children and participating in outdoor activities such bike riding, camping, and skiing. She is a member of the Idaho Academy of Physician Assistants (IAPA) and the American Medical Association (AMA).